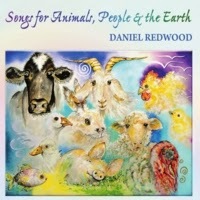 Peace to All Beings: Daniel Redwood's animal rights album is here. Daniel Redwood's animal rights album is here. You can listen to the songs at his website. They are songs our movement has needed for a long time. This album is a tool we can all use to help people understand why being vegan and living nonviolently is so important. 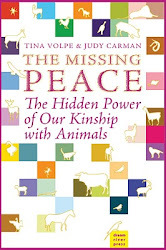 Sharing this with non-vegans is bound to touch their hearts and minds. Music is such a powerful way of helping people see the truth. We all need this album and we must share it everywhere we can. For The Animals! "Welcome to the website for my album, Songs for Animals, People and the Earth. Through these songs, I want to share with you my experience of the profound beauty, sensitivity and intelligence of animals, especially the farm animals that people use for food and clothing. I’ve created this music because I want to do everything I can to make this world a kinder, more compassionate home for animals and to support the movement for animal rights. I believe in the power of music to touch people’s hearts and minds and to empower us to change in a positive direction. Social justice movements need songs, to share our message, strengthen our sense of community and inspire people to take action. I’ve witnessed this first-hand throughout my life. In my songs, I seek to celebrate the beauty but not turn away from the pain, to lift the spirit but never deny difficult realities. These songs are not background music; that’s not my style. But if you’re someone who’s looking for songs with a message, songs about justice and freedom and compassion and nonviolence and standing up for what you believe in, then you’ve come to the right place. You can listen to the songs for free on this website. If you like what you hear, please share links to the songs or buy the album on this website. Please also check out our Facebook page, Daniel Redwood Songs, and put up a post to let me know your thoughts about the music. If something in these songs touches your heart, or makes you think, or lifts you toward positive action on behalf of animals, people and the Earth, nothing would make me happier. That’s what the songs are for. 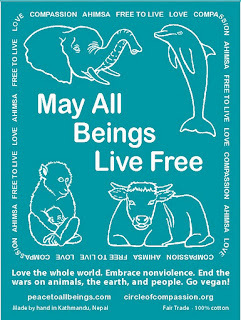 Peace and blessings to you and to all beings."